Other patrons of the charity also include Alexander McCall Smith and Julia Donaldson. McDermid will lend her support to Scottish Book Trust 'to help inspire and support the people of Scotland to read and write for pleasure through programmes and outreach work,' according to the charity. 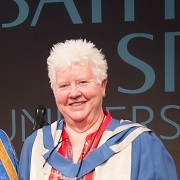 Marc Lambert, ceo of Scottish Book Trust, said: "As the reach of Scottish Book Trust continues to grow, we are delighted to welcome renowned and well respected Scottish author Val McDermid onboard as our Patron. Val has, for many years, had a genuine connection to our work and a strong personal interest in our aims and values. It is wonderful to recognise our relationship formally with a Patronage. "Research shows that a love of reading and writing inspires creativity, and also benefits employability among young people, supports better mental health and wellbeing, and is one of the most effective ways to help children escape the poverty cycle. Simply put, a love of reading changes lives." McDermid said: "Any writer would be proud and delighted to be invited to be Patron of Scottish Book Trust. The work they do across Scotland, supporting readers and writers across the generations, is key to building our future. 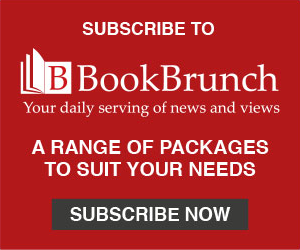 It’s a charity that works with children and parents, with teachers and libraries, with avid readers and potential readers alike, and supports both established and aspiring writers. The enterprise and commitment Scottish Book Trust demonstrates enriches all our lives and I’m delighted to be part of their campaigning work."